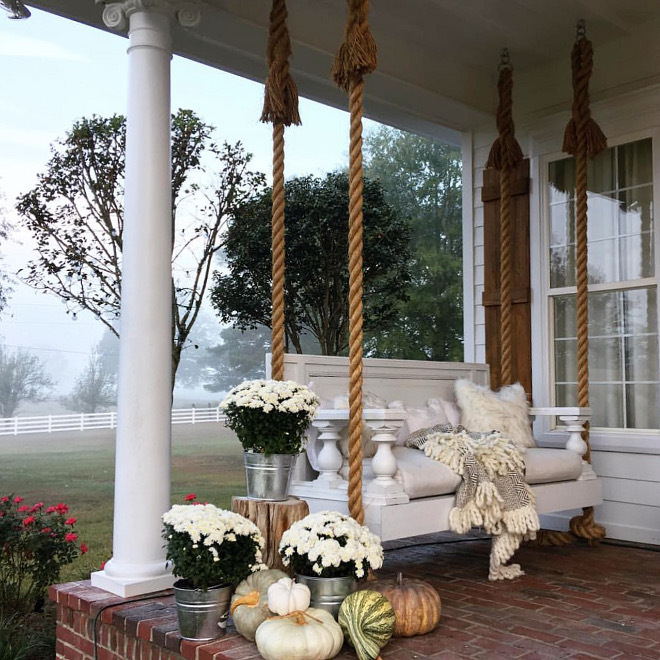 Fall is finally here and I am so happy to share only interiors that are perfect for this time of the year – full of textures, warmth without feeling heavy! Here you will find many kitchens, living rooms, bathrooms, bedrooms and many more interior design ideas. 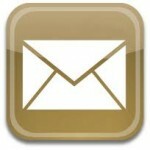 I hope you enjoy the post! 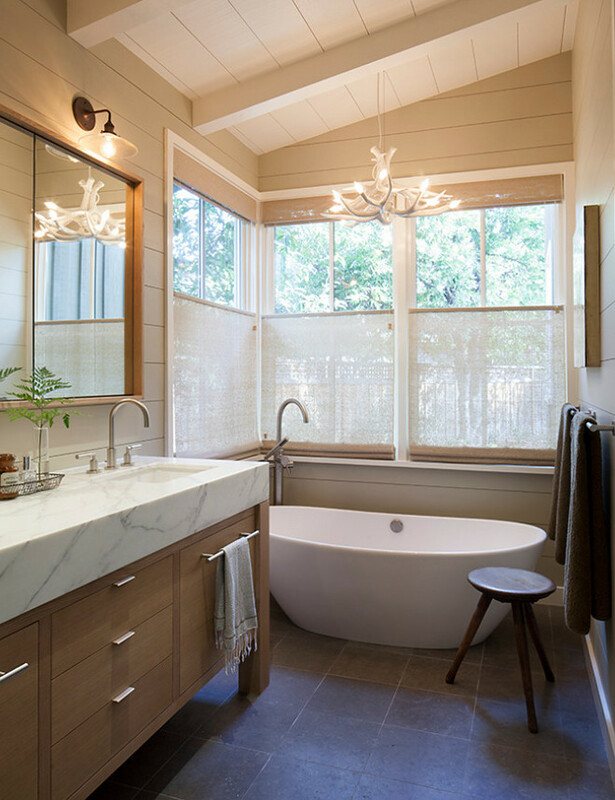 See Cindy’s home on my series “Beautiful Homes of Instagram“. Wood crates are from Magnolia Market. 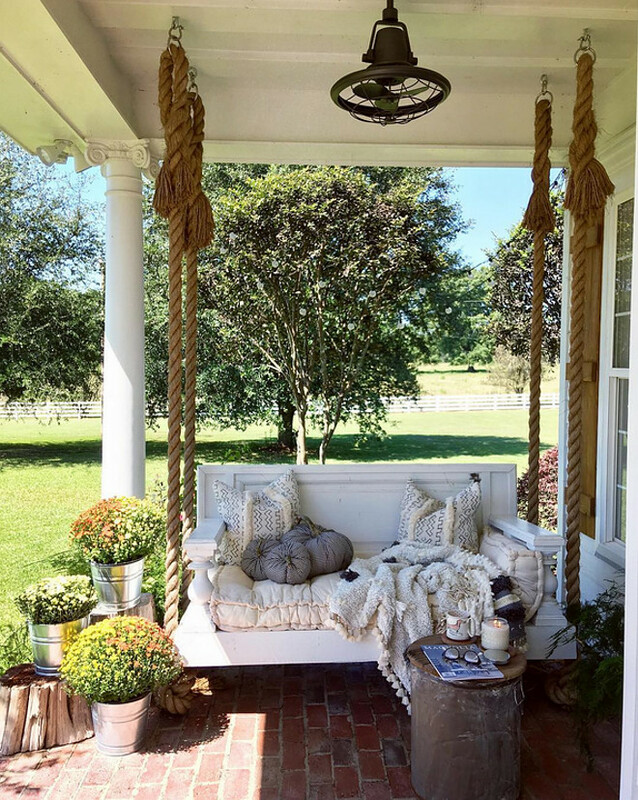 This is one of the most popular swing beds on Pinterest – see more information about it here. 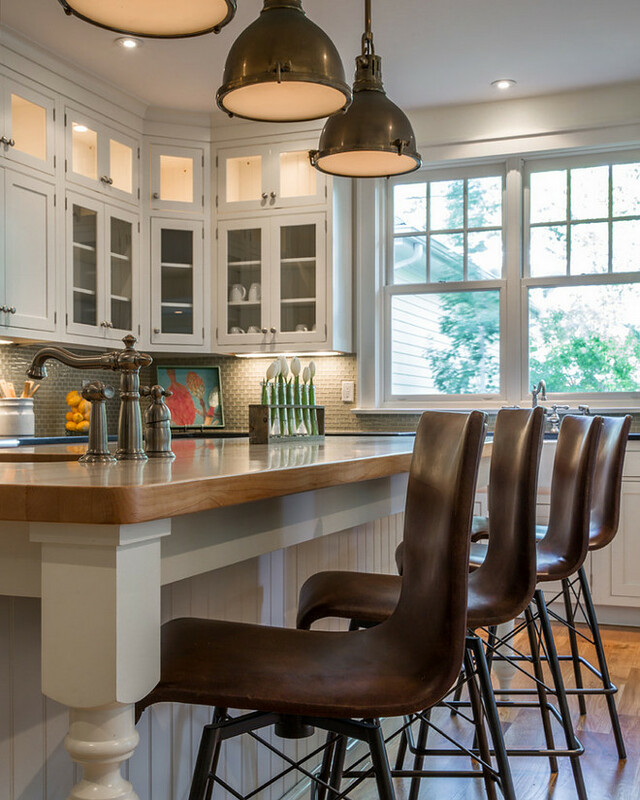 This white kitchen has a traditional look but it’s layered with industrial and modern elements. 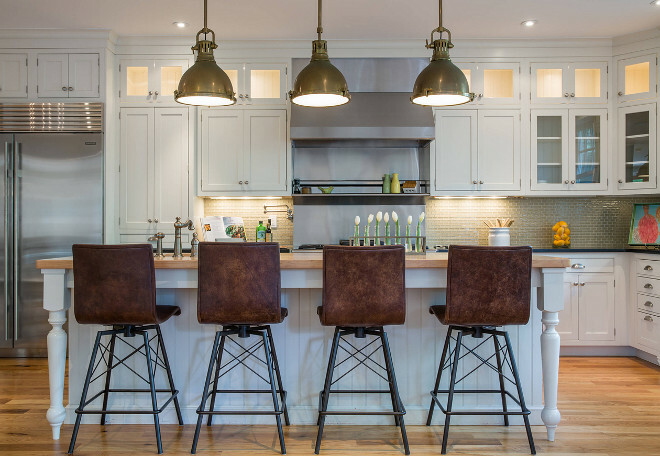 Find these leather barstools here. 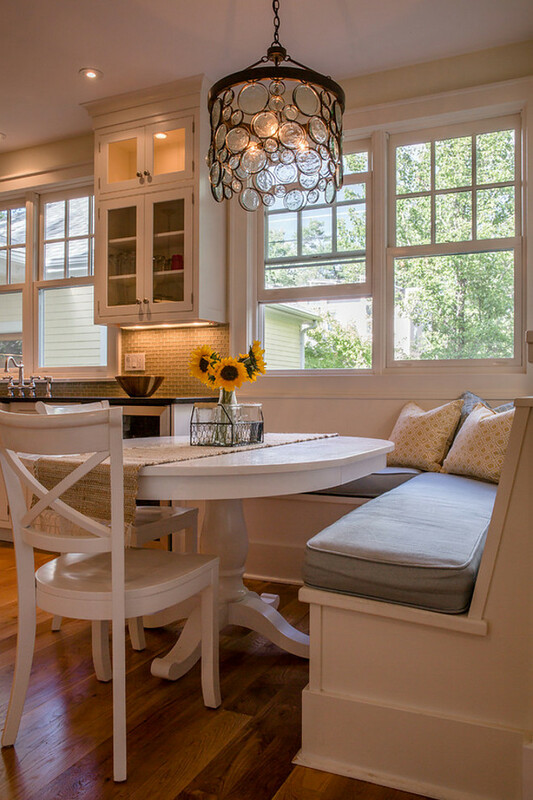 This breakfast nook feels cozy and welcoming. I love this color scheme and the furniture layout. You can find the braided jute poufs here. 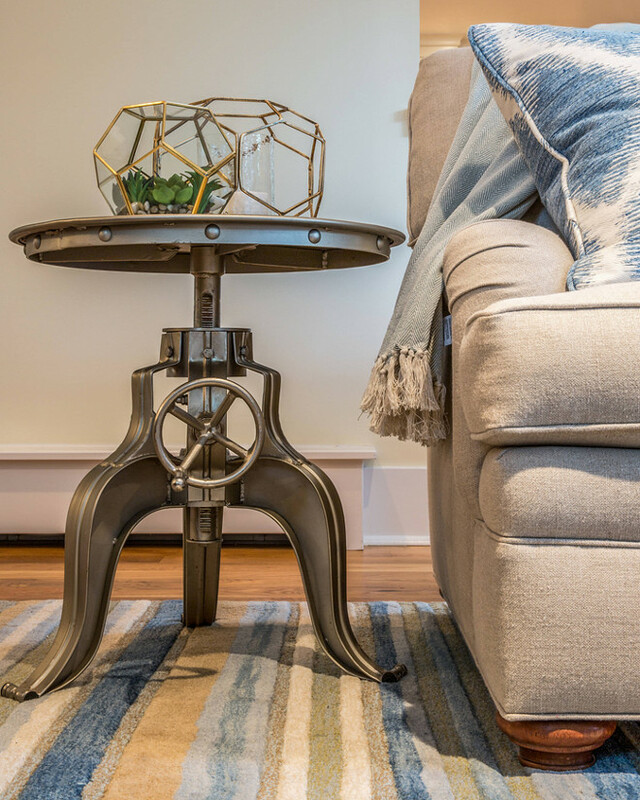 Accent Table: Industrial Round Table Crank Iron End Accent with Adjustable height. Painted Brick Paint Color: Behr Ultra White in semi-gloss. Coffee table in an antique. Window shades are Conrad shades. 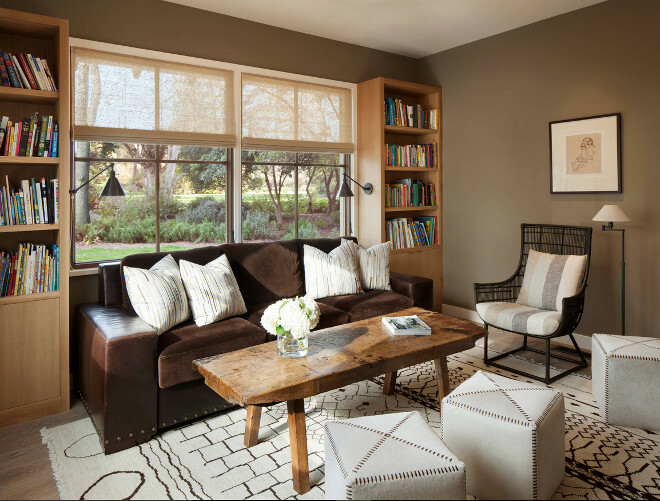 The breakfast room opens to an inviting family room. Comfy family room with custom cabinet. Similar chandeliers can be found here. 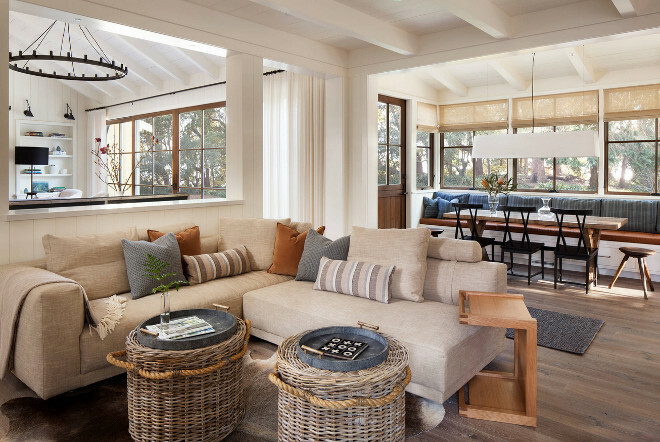 This entire space feels connected yet distinctive. 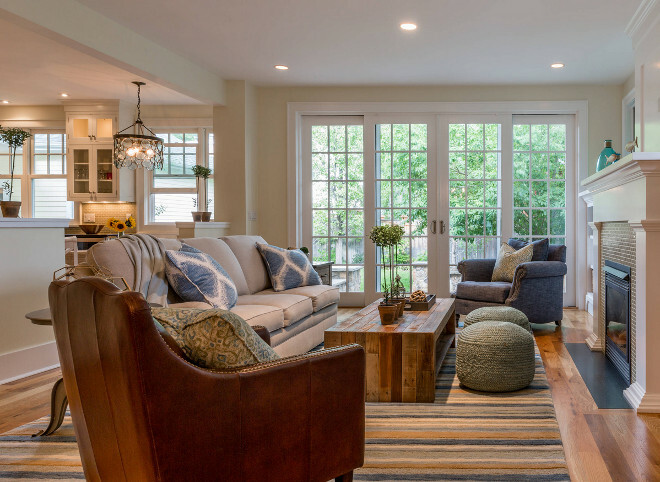 This dreamy living room features Limestone fireplace surround, shiplap and stunning glass doors. 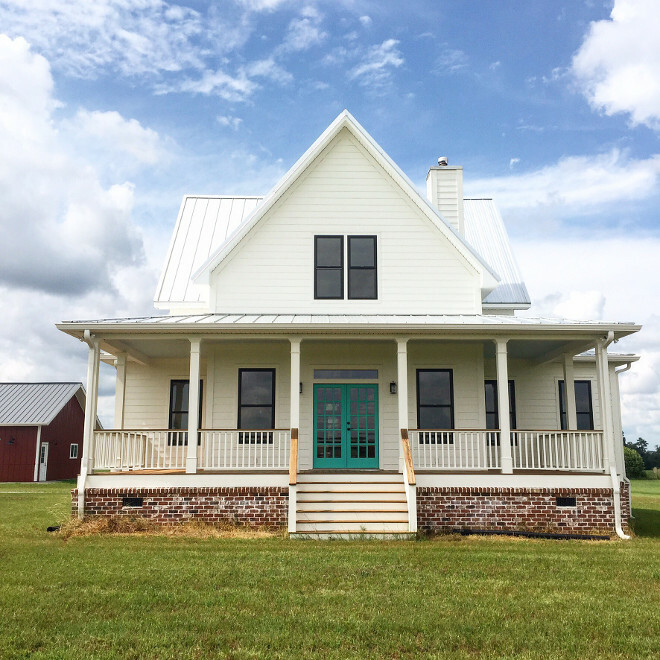 I love the idea of using other colors on shiplap other than just white. Bench is an antique and basket is Laviva Home. The bedroom glass doors open to a lovely garden. 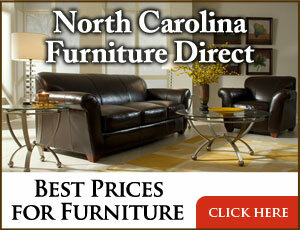 The sleigh bed and nightstands are from Restoration Hardware. 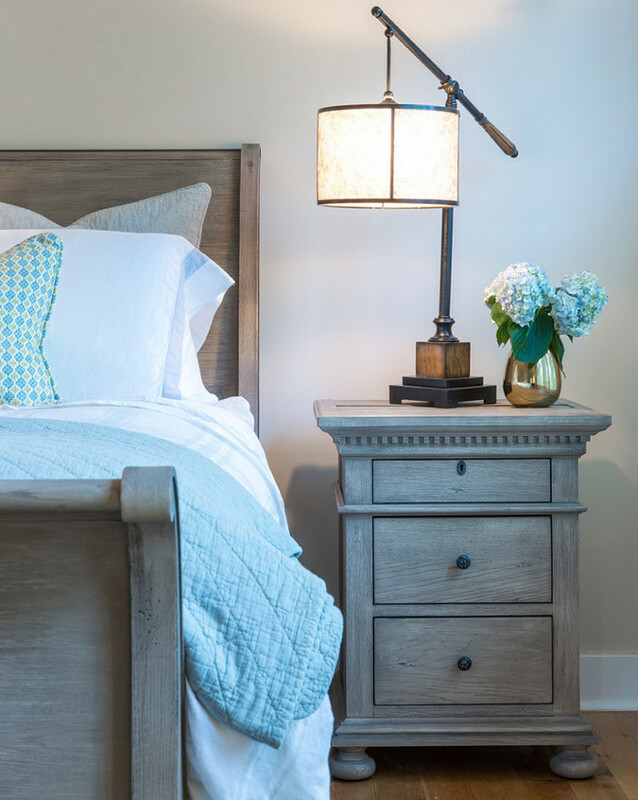 Bedding is Pom Pom Home and lamps are Uttermost. Paint color is Sherwin Williams Light French Grey SW 0055. 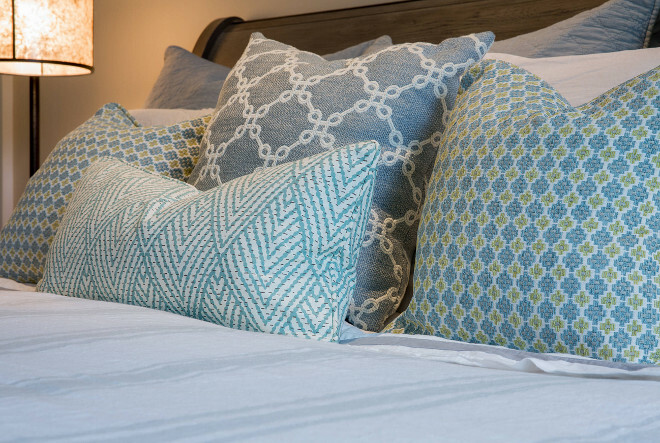 Pillow fabrics are Pindler and Thibaut. 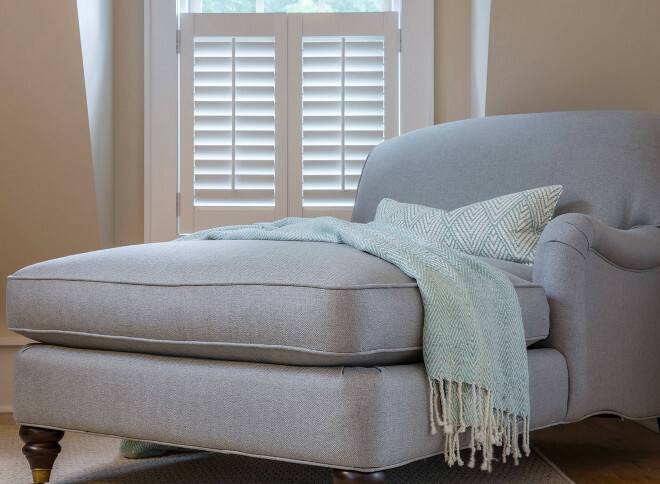 Chaise is Elton Chaise by Ballard Designs in Pindler fabric. 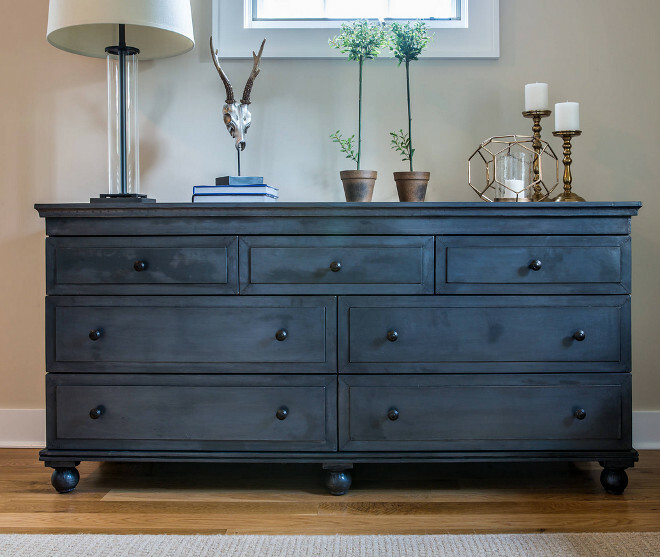 Zinc dresser and lamp are by Restoration Hardware and rug by Curran. 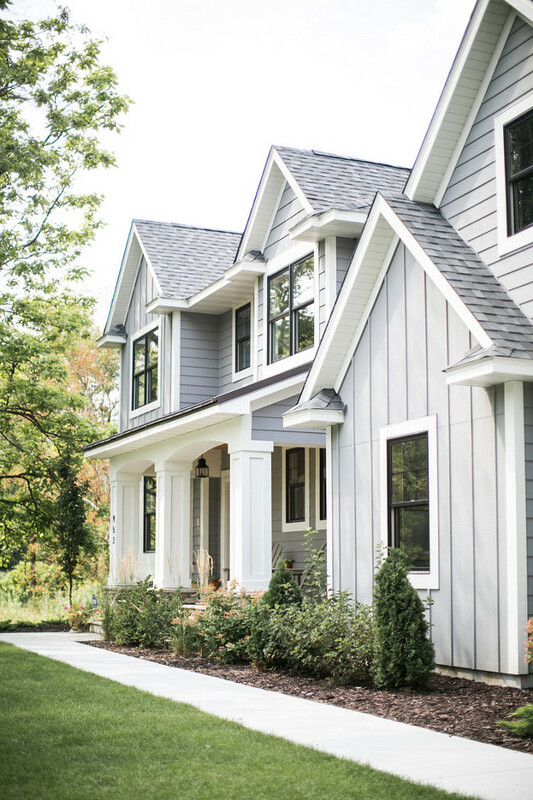 Home exterior with grey board and batten exterior and black framed widows. Lap Siding Paint Color: Benjamin Moore#2129-30 Blue Note. Shake Siding on Gable ends: Benjamin Moore Affinity AF-720 Sparrow. Board and Batten Siding on Gable ends: Benjamin Moore AF-720 Sparrow. Window trim / trim, Pillars, Brackets: Benjamin Moore OC-25 Cloud Cover. 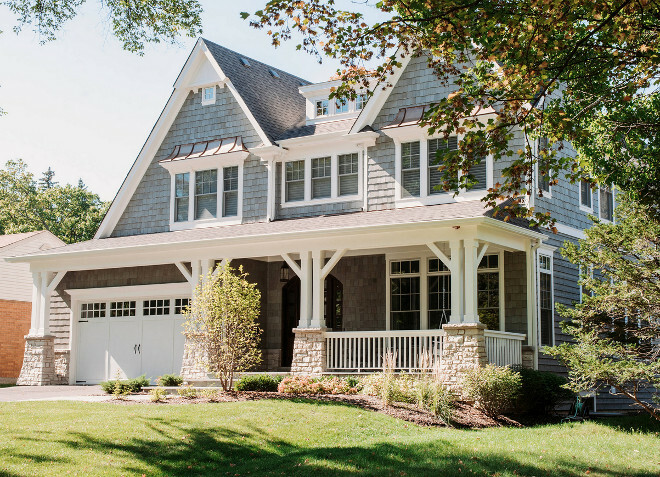 Garage Doors: Benjamin Moore Affinity AF-720 Sparrow. 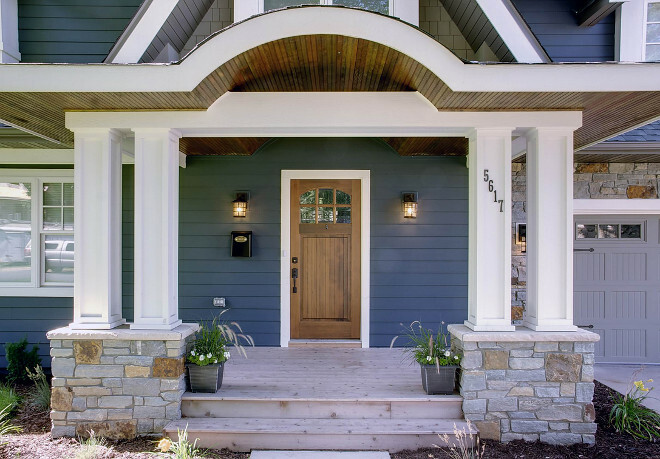 Wooded front door is the “Bungalow Style Door” by Simpsons Doors. Porch: cedar wood decking (for the deck). Hem fir for the ceiling (with a dark stain). Cedar and Miratek for the columns. 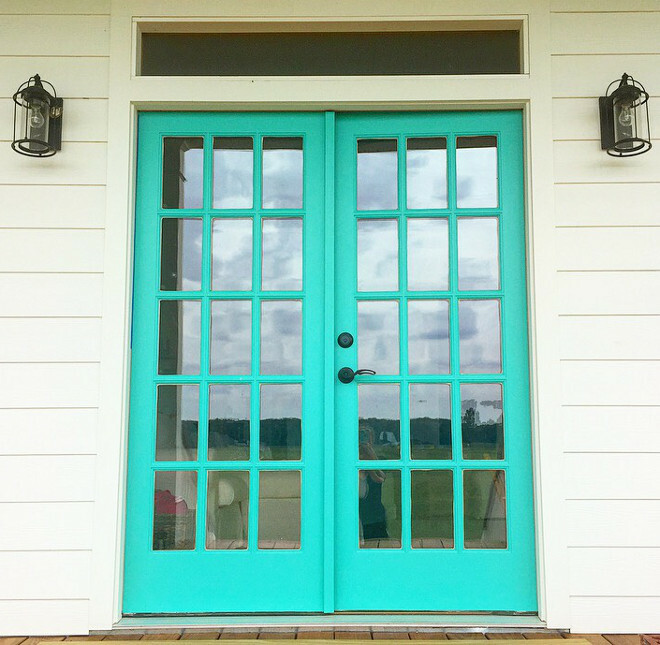 Turquoise Door Paint Color: Sherwin Williams SW 6938 Synergy. 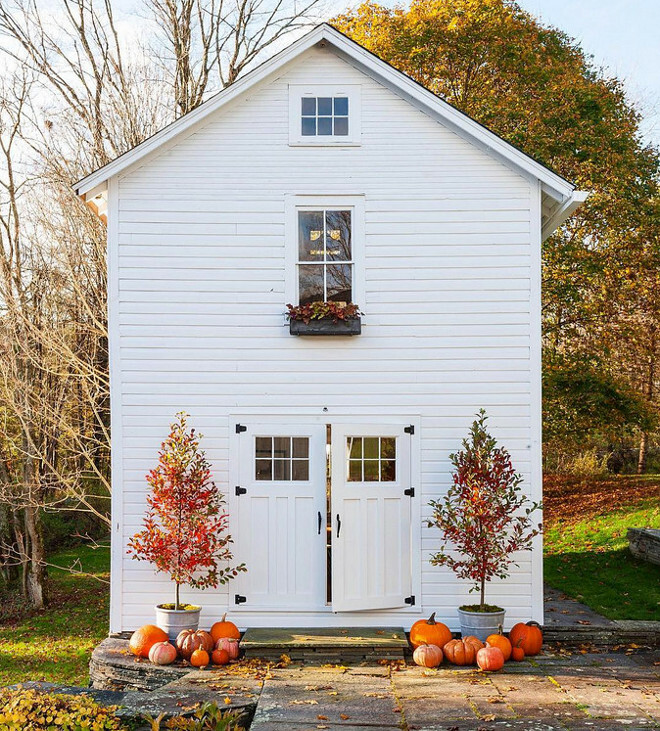 This farmhouse exterior features white siding, white board and batten, neutral exterior stone, wood front door, wood garage door and black framed windows. 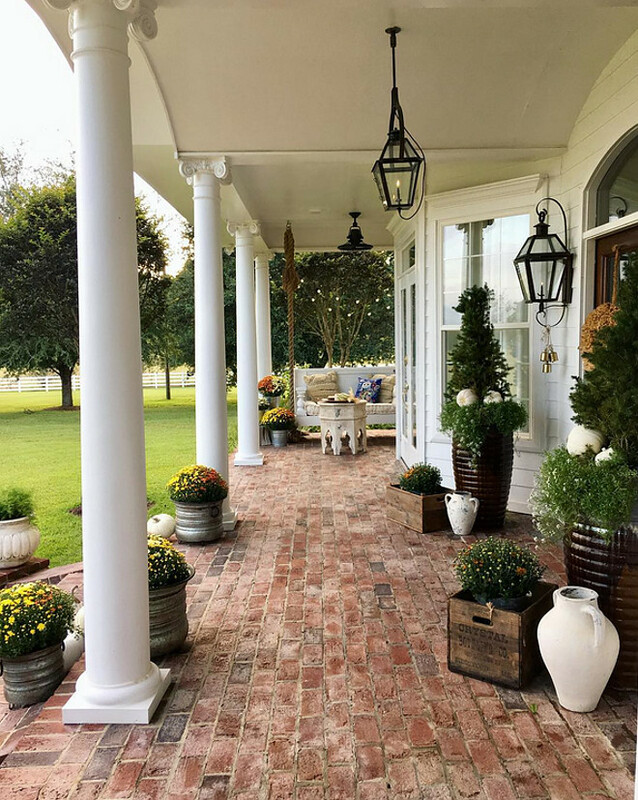 The stone pillars were custom made using FonDuLac Limestone. The garage doors are made by CHI Overhead Doors. Exterior: Western Red Cedar Shake with a Cabot Semi-Solid Stain (Color: Shale). 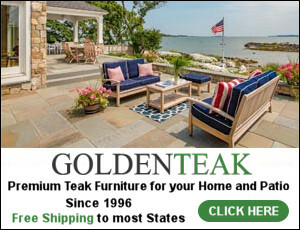 Fall Color Scheme: Benjamin Moore 2152-50 Golden Straw. Benjamin Moore Greenfield Pumpkin HC-40. 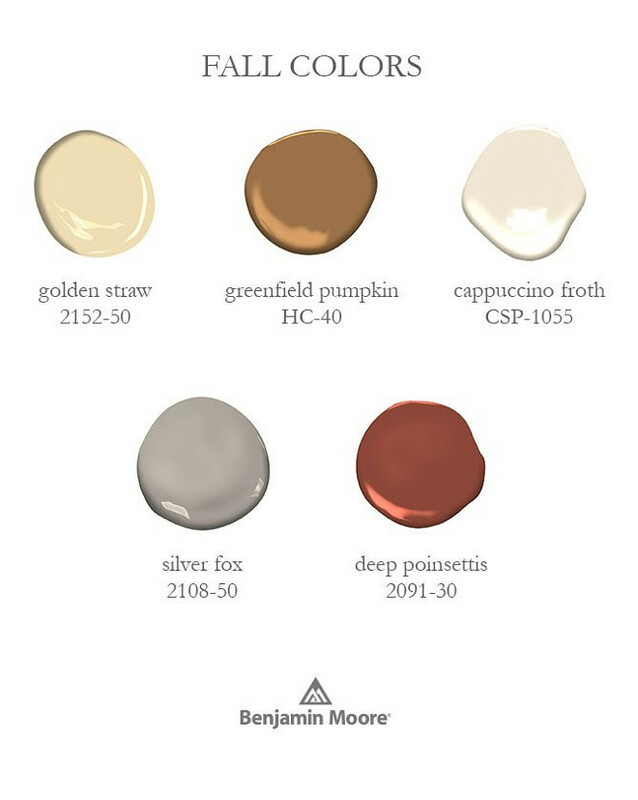 Benjamin Moore CSP -1055 Cappuccino Froth. Benjamin Moore 2108-50 Silver Fox. Benjamin Moore 2091-30 Deep Poinsettis. 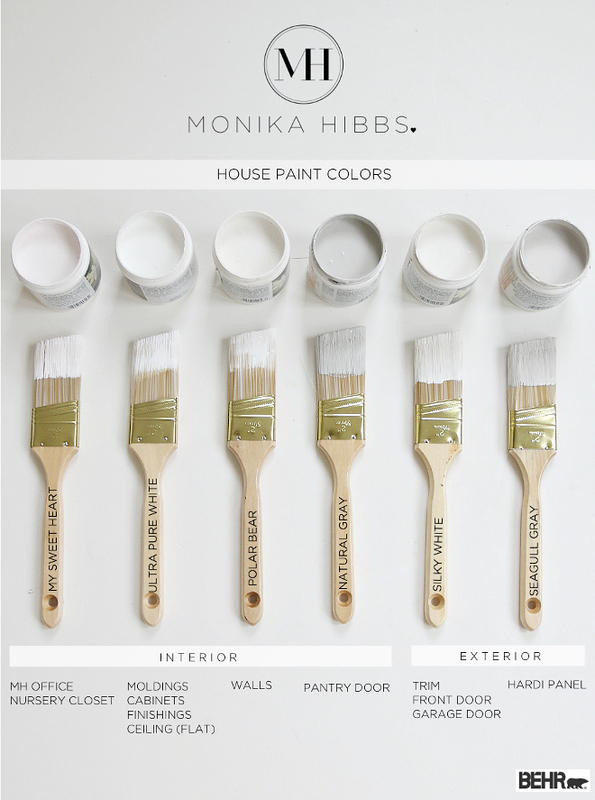 Behr White Paint Colors: Behr My Sweet Heart. Behr Ultra Pure White. Behr Polar Bear. Behr Natural Gray. Behr Silky White. Behr Seagull Gray. 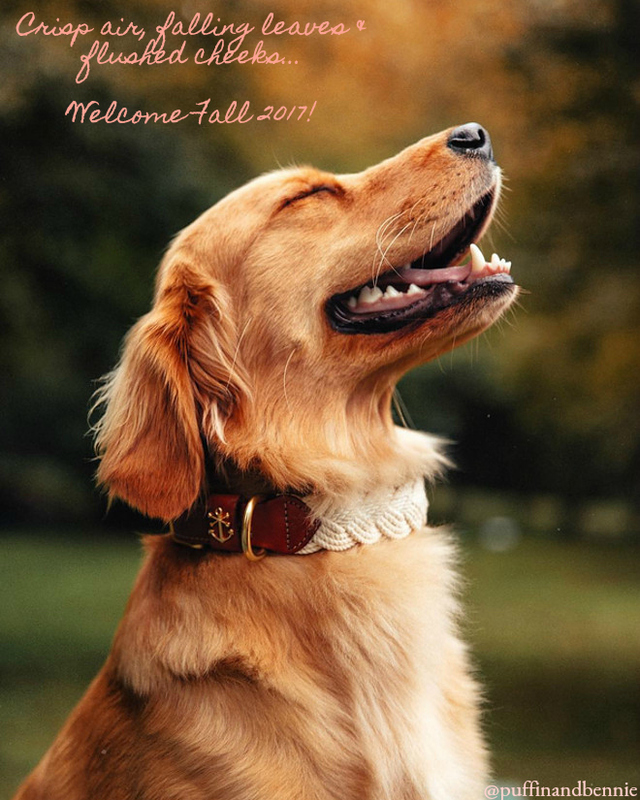 You can buy this adorable dog’s collar here. 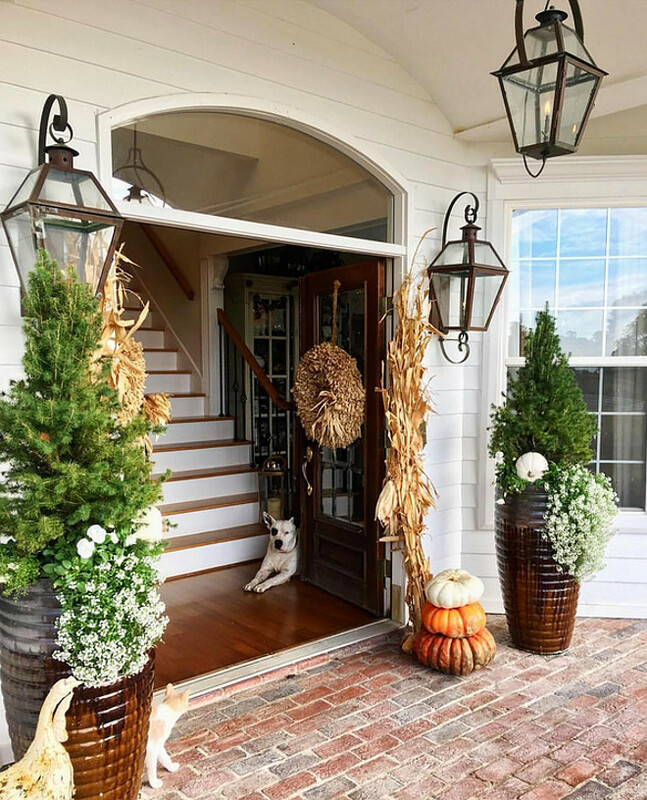 See more Fall Decor on Home Bunch! 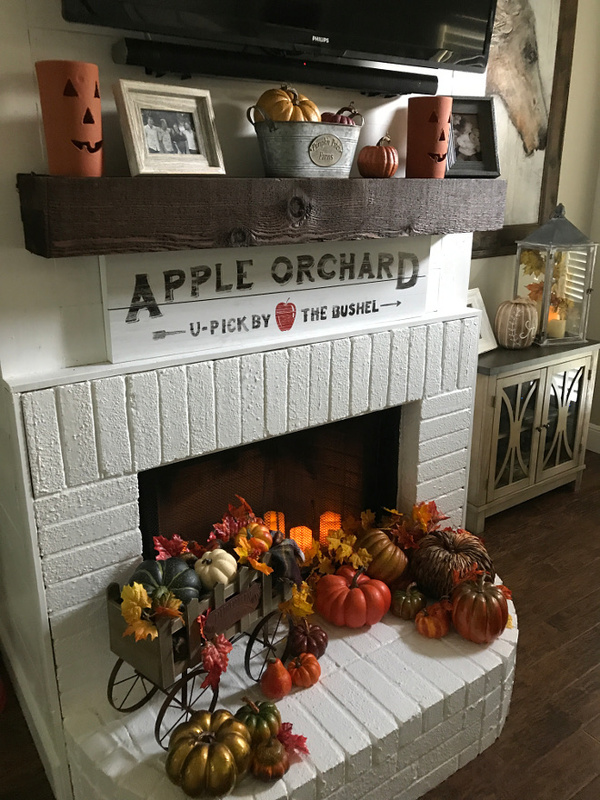 Monday: Farmhouse Dining Room Fall Decor Ideas. Tuesday: Best White Paint Colors by Benjamin Moore. 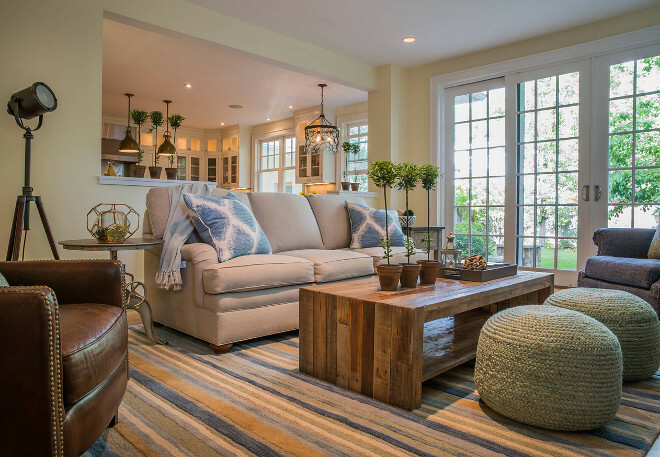 Wednesday: Open-Concept Family Home Design Ideas. Have a Blessed weekend, my friends. Enjoy this time with your loved ones. Fall is my favorite season! It’s everything you already said: crisp, clear air; beautiful leaves; the smell of wood smoke…just too many things to mention! I’m always happiest when we’ve lived places known for their great seasonal changes. Michigan, Connecticut and Pennsylvania have been the best. Oh, I agree with you, Rebecca!! !